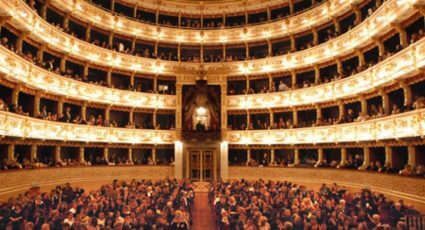 If you are passionate about engines, you cannot miss the opportunity to organize a trip to Emilia Romagna, a land where the fastest and most beautiful cars and motorcycles in the world are born. 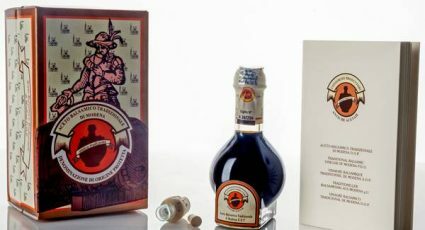 Any speed fan will be spoiled by the variety of activities to do in the Motor Valley: from visits to the museums dedicated to Ferrari, Lamborghini, Ducati, to driving experiences on the most famous Formula 1 and MotoGP tracks (like Misano), and visits to the production factories of the most prestigious cars in the world (notably Ferrari). 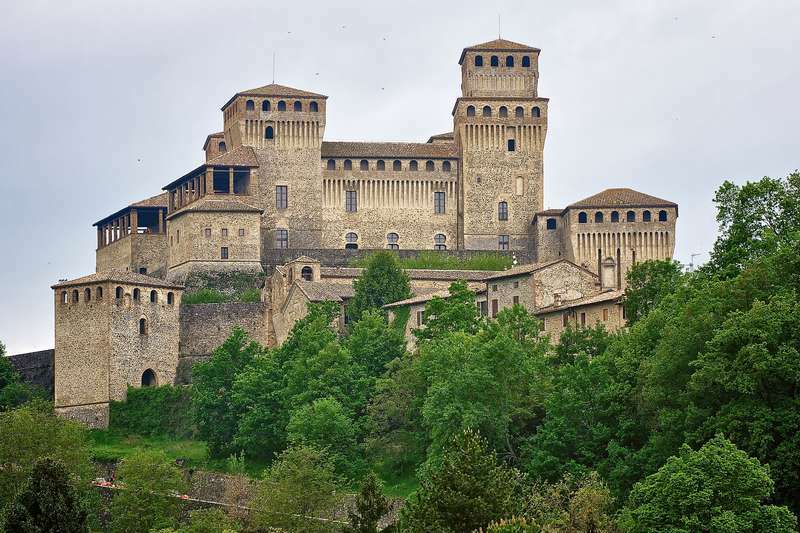 If you are thinking of spending a few days in the land of engines, you must definitely visit one of the circuits where you can take a safe driving course, perhaps on the circuit of Varano (Parma). 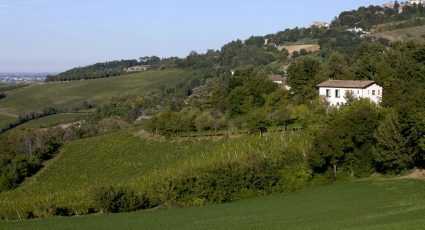 But do not forget that Emilia is also the homeland of cuisine and Lambrusco; it is therefore mandatory to take a break to recover your emotions from the track, in one of the many vineyards of the area, such as Azienda Agricola il Casello – Ortrugo, where you can taste the Spumante di Ortrugo (Colli Piacentini DOC) accompanied by a few slices of Prosciutto di Parma DOP . 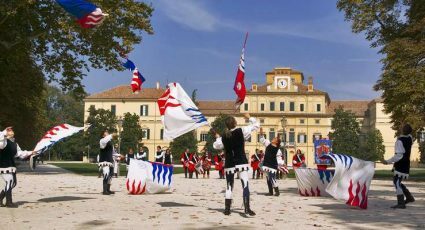 For an activity off the path, visit the Castello di Torrechiara to learn more and immerse yourself in the history of this part of Italy. The castle is characterised by its magnificent frescoes. Another interesting stop in your discovery of Italian engines is the Ferrari Museum. The Maranello Museum showcases the Ferrari of today and tomorrow, retracing its roots in the extraordinary history of the Prancing Horse. The permanent exhibition is dedicated to Formula 1 and the World Championships where, in addition to the monoseats, you will find the “mural box”, which allows you to understand what telemetry is and how a race driver drives. There are also five rooms which offer thematic exhibits of great interest. For visitors, there are many other attractions: a movie theater with continuous screening of thematic films, semi professional Formula 1 simulators, a photographic installation that allows you to sit in a Ferrari and preserve the personalized souvenir at the end of your visit, the possibility to simulate a real tire change, giant screens during Grand Prix, a large Ferrari store and a comfortable cafeteria. After the cars, it’s time to turn towards the motorcycles, with a visit to the Ducati Museum and factory. 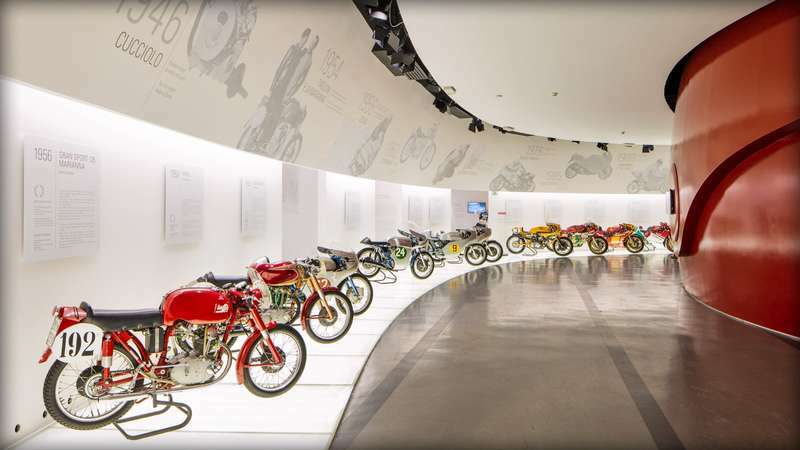 The Ducati Museum, renovated in 2016 on the occasion of the 90th anniversary, is presented with a new look and new content. The socio-cultural context, the facts, the people and the technological innovations in the history of Ducati, are the framework for the exhibition of series motorcycles and racing motorcycles that have left an indelible mark in the heart of Ducatisti and motorcycle enthusiasts. 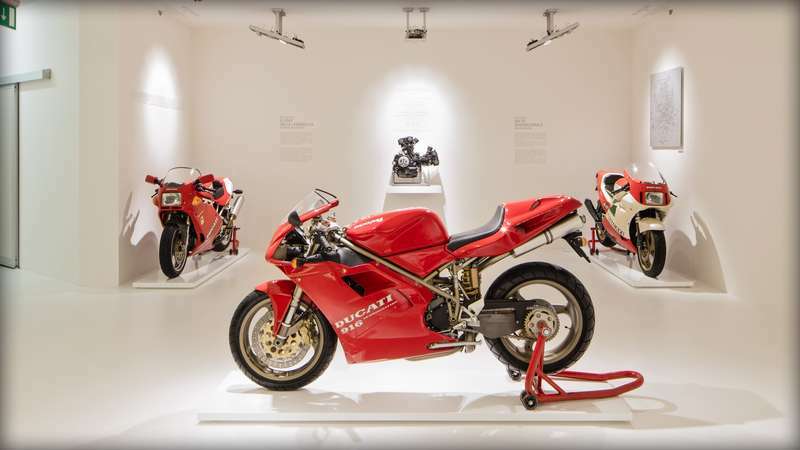 History and future, challenges and success, vision and determination: The Ducati Museum is a true journey into the myth that traces the history of the company, renowned in the world for its style, performance and the pursuit of perfection. A visit of the factory, only with reservations, allows you to discover not only how a Ducati bike is born, but also to immerse yourself in a moment of industrial life, with the men and women who work in Borgo Panigale every day. During the visit, you can see the different stages of the machining and assembly of the engines, the assembly lines of the vehicles, the tests, and even discover where the mythical Racing Department is located, in the same factory. 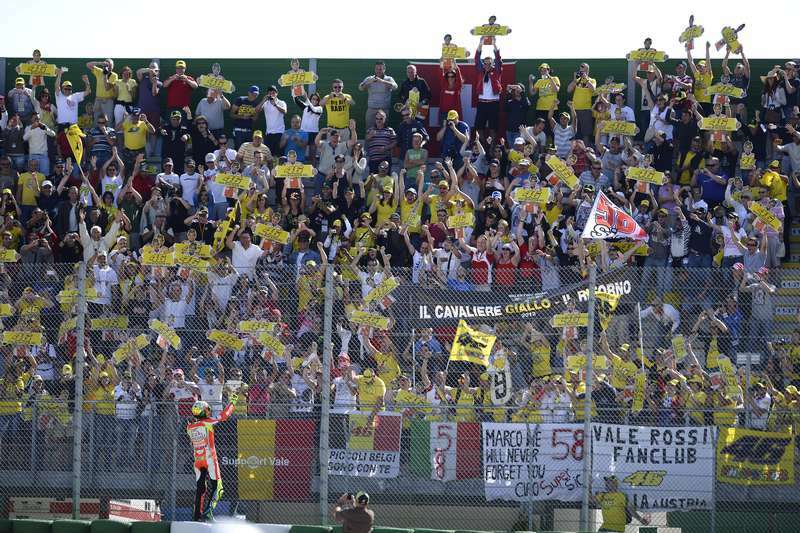 To finish the trip on a high note, all that remains is to enjoy a race, perhaps the Grand Prix of San Marino and the Riviera of Rimini, a MotoGP-level race.